Classic Cape, City Convenience! This home has been loved by the same family for two generations, and is looking for a new owner. 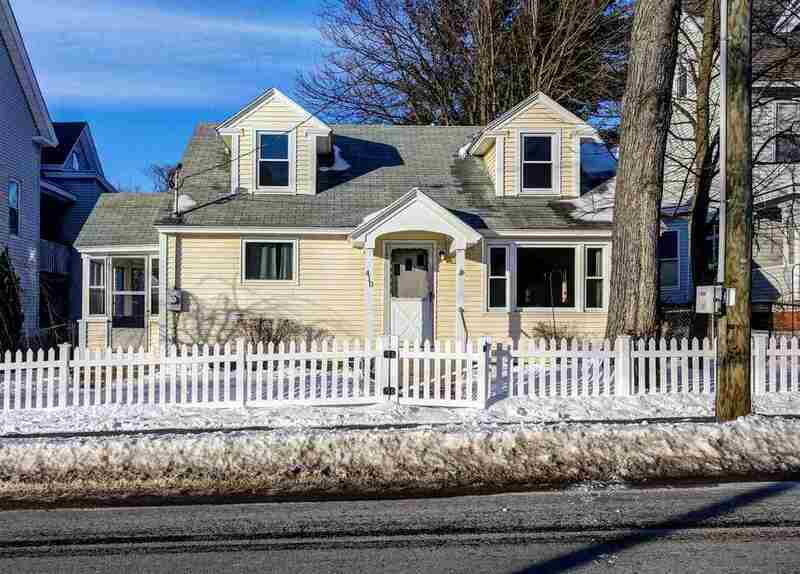 Step through your white picket fence that encompasses the front and back yard, and into this well cared for home. Continue inside and appreciate hardwood floors and newer vinyl windows. To your right is the living room, with large picture window that lets plenty of sunshine in with any season. Opposite the living area is the spacious kitchen, with neutral coloring & white appliances keeping the space light & bright! Directly off the kitchen is an attached porch, good for storage or sitting in the warmer months. Finishing out the main floor are two generously sized bedrooms, with hardwood running throughout. The full bathroom is completely redone; NEW flooring, vanity, toilet, tub, and shower! Upstairs are two additional rooms, ready for your finishing touches but do already have heat! These could certainly be used as bedrooms (but without closets currently). With a large dry basement, you will have plenty of space for storage. Head outside, and you&apos;ll appreciate features such as a large back yard, and off-street parking in the rear of the yard. See for yourself, this home is truly a gem!